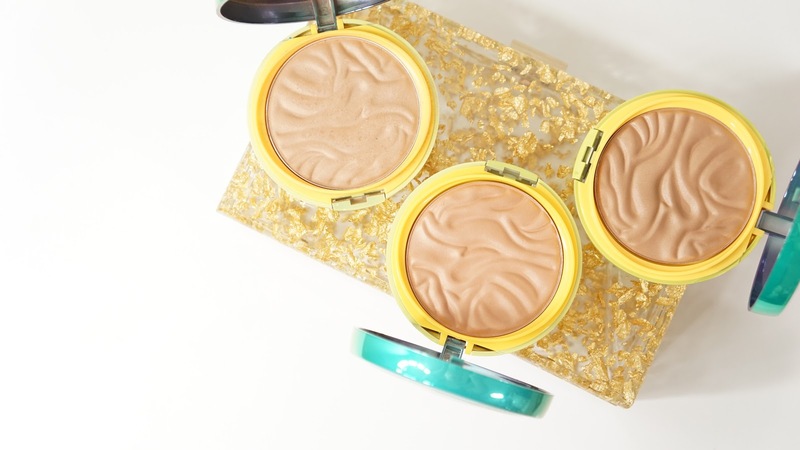 The Physicians Formula Murumuru Butter Bronzers are one of the most hyped up drugstore bronzers I've heard about in awhile. I haven't been as interested in drugstore face products from some time besides maybe foundations and highlighters but I feel like the last super hyped up bronzer I remember was the NYC Smooth Skin Bronzing Powder. When the Butter Bronzers first came out, there were only two shades - Light Bronzer and Bronzer. In late December, PF released two darker shades - Sunkissed Bronzer and Deep Bronzer. 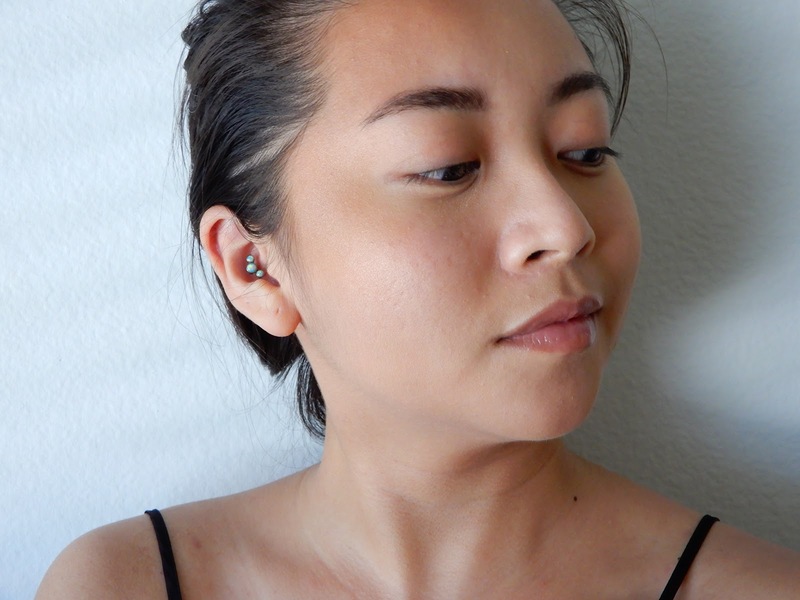 In this post, I'll be reviewing and compare Bronzer, Sunkissed Bronzer, and Deep Bronzer. Each shade contains 0.38 ounces of product and retails for about $12-$15 depending on where you're buying it from. 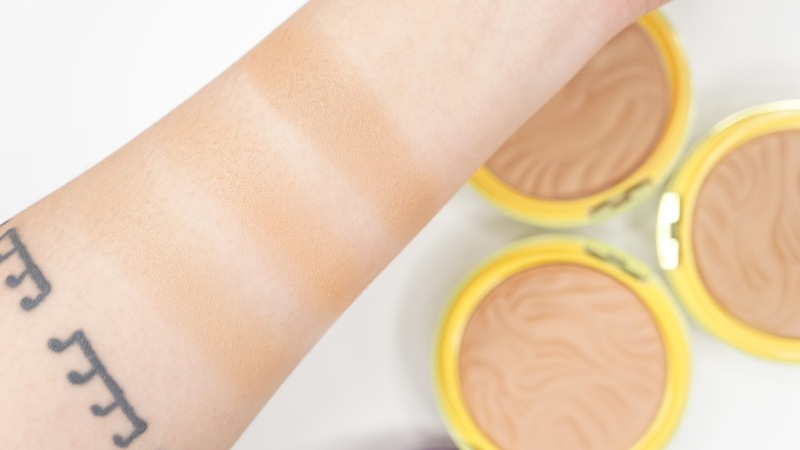 I was originally really bitter that the original two shades were so light, but most companies only have 1 bronzer shade that's generally for people with light to maybe medium-dark skin tones. PF also has a history of having products more fit for those with fair to light medium skin tones and so I honestly wasn't too surprised with the original two shades. Hopefully, they'll continue to bring out darker shades or have a more inclusive shade range since they do have good products. I initially bought Bronzer, but it is just slightly darker than my skin tone and required so much build up that I looked cakey. Swatches were hard to find of the two "deeper" shades and I ended up getting both of them to compare. I also got confused on where Sunkissed Bronzer fit into the color range. 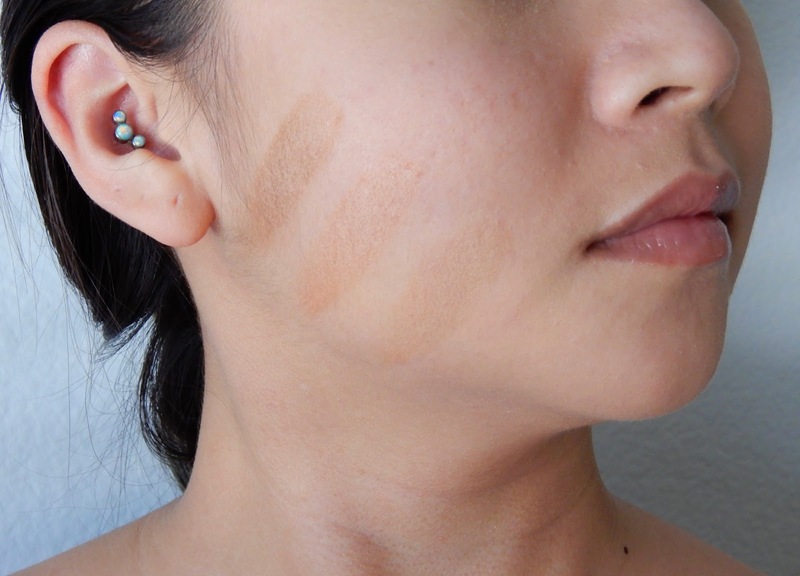 After swatching, I could see that Bronzer and Sunkissed Bronzer were about the same tone but with different levels of warmth. Personally, I feel like PF could've skipped Sunkissed Bronzer and released a darker shade after Deep Bronzer instead. Unfortunately for me, Sunkissed Bronzer looks orangey on my skin tone. I have to use it with a light hand if I want that "sunkissed" warmth but it's a buildable sheer formula and so it also ends up cakey when I build it up enough to show up on my face. When I do use it, I tend to just dust it on top of another bronzer just in the highlighting areas. THANKS FOR NOT FOCUSING, CAMERA. Anyway, above are finger swatches on my face to better see the color differences in indirect sunlight. From left to right, I swatched Deep Bronzer, Sunkissed Bronzer, and Bronzer. 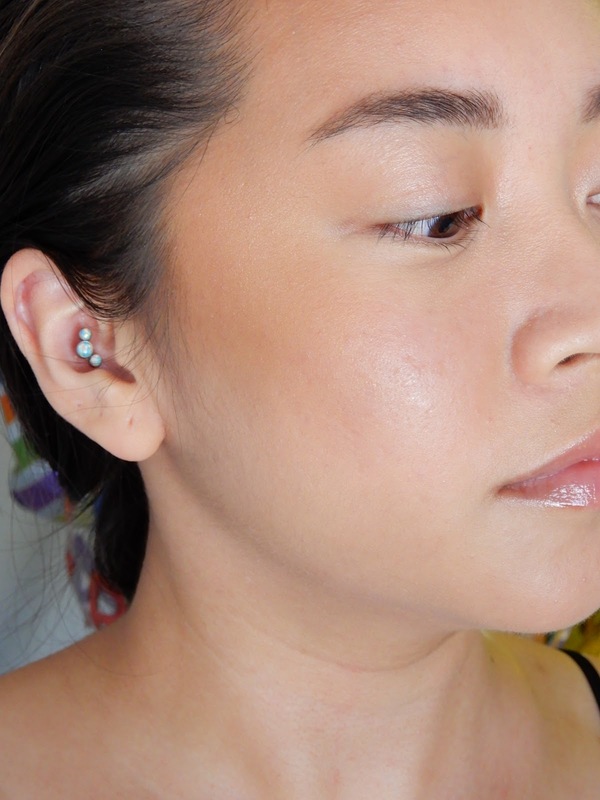 In the above two pictures, I applied Deep Bronzer near the contour areas of my cheek and then Sunkissed Bronzer on my cheekbone. Because of the sheen this bronzer has, Sunkissed Bronzer does add a bit of warm glowy effect. I can seen Sunkissed Bronzer being really gorgeous on those who are more fair than me as just a regular warm bronzer. Deep Bronzer has a perfect tone for me! It is way easier to build up the color since it is darker and I have to use it a light hand with it. No matter the shade, the powder is so smooth and "buttery" soft as the name suggests. It blends into the skin so seamlessly that I can go haphazardly with it and it can still look good. I'm not going to be able to vouch for the longevity of this product. No matter what I do, powder bronzers in general tend to look patchy on me after 8ish hours. Unlike the majority, I do not like the coconut scent. It's overly strong for the first few weeks and the fragrance even sticks onto the brushes I use with it. I think I'm getting used to it now, but I still get random whiffs of the smell even when I'm just turning my face. It's like the air around my cheeks hold onto the scent and stays there as well. Final thoughts: I can see why this product is so hyped up and it's definitely one of the best drugstore bronzers I've ever tried. I like that it has a buildable formula so that I don't have to be as careful with it. There's also a slight sheen / glow to it that makes it look so natural. The sheen is so fine that I'm pretty comfortable using it as a contour powder and bronzer. If you're my skin tone or a couple shades darker, I would highly recommend checking out Deep Bronzer. I personally don't like Sunkissed Bronzer since it can look too warm and orange. The tone (as in how dark/light it is) fits those who are lighter than me, but I would still be worried about it looking too warm. Have you tried this bronzer? What's your favorite drugstore bronzer?